As a Paramedic, I don't usually get to see the end results of my work. I do as my medical protocols command, then let the doctor worry about the outcome. One day, my partner and I were thrilled to see the results of our labor as we had a direct hand in saving someone's life. We received a call for a person choking. When we arrived, we found a man who was indeed choking. He was unconscious and not breathing. We followed our protocols and training and in a matter of a few seconds, we had the object out and his airway was clear. We began helping him to breathe and on the way to the hospital, he started to breathe on his own. About an hour later, we returned to the hospital with another patient and we checked on him and found that he was awake and doing fine. It was exciting to see the results of our labor. 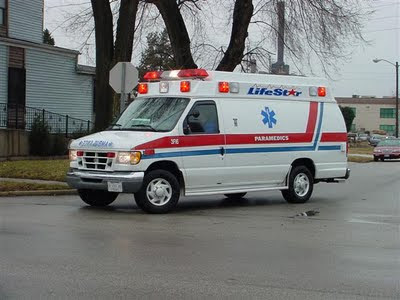 Usually, when we deal with a patient, we assess the problem, begin treatment in our ambulance, and deliver him to the ER. That's the last we see or hear of the patient. We know we make a difference in that person's life but, sometimes, we don't get to see it. This also has a spiritual application. We labor in the cause of Christ and, many times, do not see the fruits of that labor. It is easy to get discouraged and believe that you are not really making an impact or a difference for Christ. However, God said His Word will not come back empty. He does do something with the seeds we sow. Occasionally, we get to see the fruit of our labor. But, even if we don't, we must remember to do as Christ commands us, then let Him worry about the outcome.